Post-Degree Diploma Programs are designed to provide students with specialized knowledge, skills and experience to differentiate themselves in the job search process. Diploma programs are designed to complement an undergraduate degree. Learn from industry experts in small classes with a focus on networking, collaboration and professional development. Develop your potential through experiential learning inside and outside the classroom. Engage with professionals in the field, and apply your knowledge through a particum in your target industry. Graduate with the knowledge, skills and abilities required for success. Within one year of completing their programs, 93% of our 2017 graduates have secured full-time employment in their field of study! We know the calibre of education Western University provides. 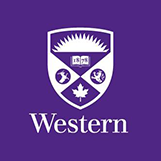 In recognition of the outstanding quality of your Western degree, we are pleased to offer you the Western Advantage.